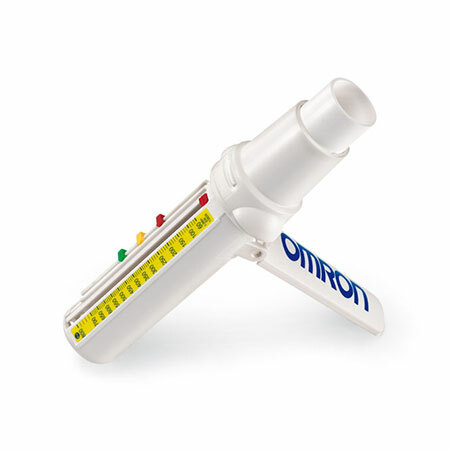 OMRON light Personal Peak Flow Meter for accurate monitoring of Peak Expiratory Flow in L/min. The PFM20 enables an easy, user-friendly therapy management for doctor and patient similarly. The helpful zone-marking (red/yellow/green) allows an individual monitoring of the current state of bronchial obstruction, e.g. in the case of COPD. PEF measurements are part of asthma-management programs. Using the Omron PFM 20 peak flow meter before and after your medication will clearly show the results. The very compact design is suitable for both children and adults.